Harley-Davidson Looking At The Rideshare Market? Harley-Davidson (Harley) continues to look for ways to bring new riders to their brand. In early March, Harley demonstrated their commitment to the youngest of riders with their purchase of StaCyc, Inc. StaCyc sells electric scooters made for kids 3 to 7 years old. A StaCyc 16eDrive electric scooter. Photo credit: StaCyc. But now Harley is looking at other avenues to ensure that it stays relevant to a younger generation. In January, Harley showed off a prototype electric motorcycle. 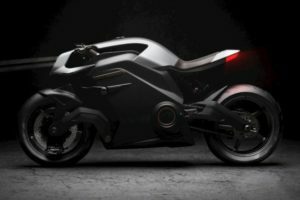 Slimmer and smaller than a “traditional” motorcycle, the prototype looks like a cross between a mountain bike and a dirt bike. Marc McAllister, Harley’s Harley Vice President of Product Portfolio said the prototype was well received. It’s clear that Harley wants to attract younger consumers. McAllister said that Harley was continuing to look at where their market (i.e. urban mobility) was going. With a younger generation moving towards urban areas and ridesharing becoming very acceptable, did Harley see an opportunity for their slimmed down electric prototype to be used for ridesharing? McAllister declined to comment but it’s not a reach to see them doing it. Although McAllister has been not been forthcoming about Harley entering the rideshare market, perhaps there’s another indicator of Harley’s intent. In an interview with CNN, McAllister was discussing rentable electric scooter transportation companies such as Bird and Lime. Hmm… That sounds like Harley is interested in ridesharing. So while Harley’s decision to enter the rideshare market is not clear, there are indicators that they are looking at it closely.